This card was inspired by a card out of the current Cards Magazine. I love looking at all the cards and the photography in that magazine. 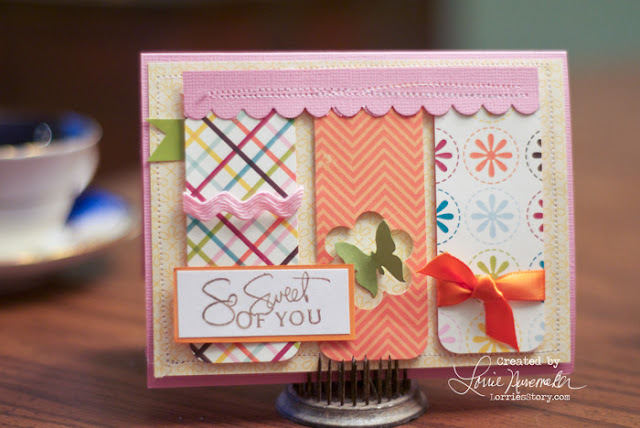 I used a monthly kit that I received quite a long time ago from Taylored Expressions for the papers, the butterfly and ribbons. The flower was a fiskars punch and the sentiment is Papertrey Ink.